Pinterest might be the world’s best bookmarking service. It helps you organize and share your images and interests. It also shows stuff as a collection of images displayed beautifully, linking back to sites. But, how about viewing all that in a desi way? 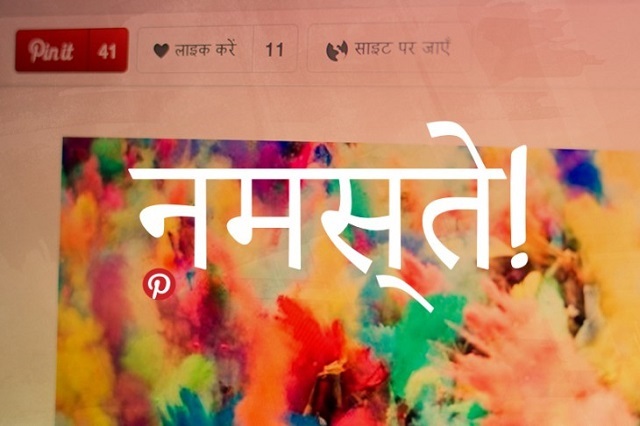 Pinterest has added support for Hindi language. All you have to do to view Pinterest in Hindi is go to account settings and select Hindi under language in the drop down menu. When you change the language, almost everything on the page will change to Hindi – This includes links, navigation menu and other options. Well, Pin captions, user comments and Pinboard titles will still be shown in English, however. Hindi support for Pinterest will create a larger user base and many Indian users will dig this new feature.